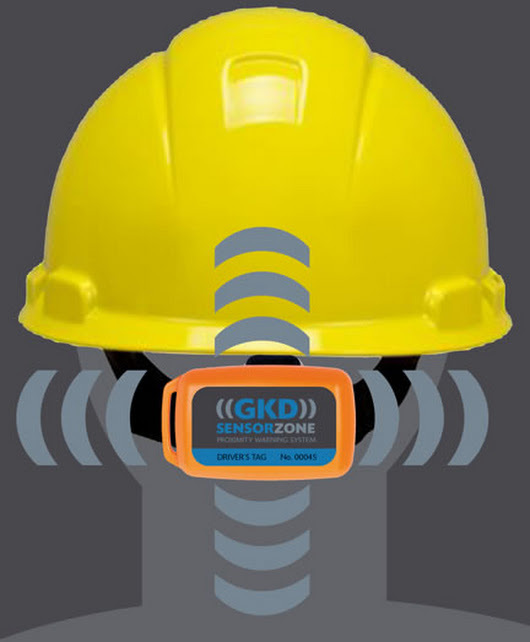 At the forthcoming Intermat exhibition (23rd-28th April, Paris) GKD plan to show its SensorZone safety system, including the latest Wireless display and Battery Base Station versions of their RFID proximity warning system. These will be demonstrated in collaboration with GKD’s French partner T2S, who produce PPE wear incorporating the SensorZone technology. SensorZone is a proximity warning system (PWS) that alerts the operator when personnel are in dangerous proximity to the machine – many of the major contractors insist on proximity warning technology being installed on machines working on-site to keep the workplace safe. 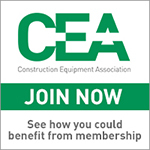 The system is designed to reduce the risk of collisions between workers and plant, site vehicles or other assets. It operates using radio frequency identification detection (RFID), and provides vibration, audio and visual alerts to warn pedestrians and vehicle operators, when they are in danger of colliding with each other. Active RFID detection systems do not rely on line-of-sight and will detect personnel in spite of obstructions. 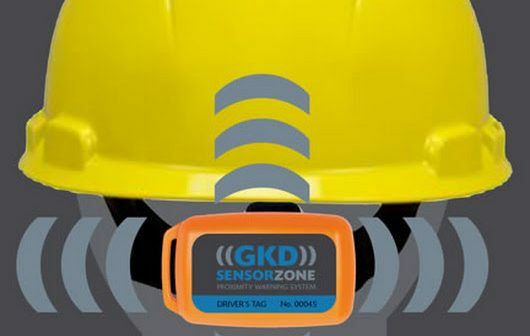 Unlike passive camera or mirror based systems which require the drivers to continually monitor them the GKD SensorZone leaves the operator free to concentrate on his activities. All personnel on-site are issued with RFID tags – when the RFID tag wearer enters the detection zone the vehicle operator is alerted that there is an intrusion into the 360-degree danger zone and takes the appropriate action. The person entering the zone receives warnings via the vibrating Tag, as well as audible and visual warnings mounted on the machine. Zones can be configured according to machine type and the zones can be set from 2 to 10 metres around the machine. Individual RFID Tag ID’s for machines and personnel allow data-logging – which helps to understand the behavioral profile of workers and machines on site. The SensorZone Wireless Display and Battery Base station were originally launched in 2016, and was the first wirelessly linked, radio frequency identification (RFID) proximity warning system of its kind to be supplied and distributed in the UK. Derived from the original SensorZone proximity warning system, the Battery Base station (BBS) and Wireless Display (WD) go one step further by allowing instant attachment to a machine or asset, providing immediate use and protection without the need for a hard-wired installation. The system can be mounted and activated as required within a few minutes, making it ideal for short-term deployment. It can be fitted to delivery vehicles coming into a busy depot or construction site where the danger of reversing into a pedestrian is increased. 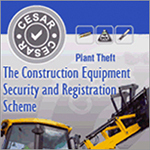 It can also be mounted on large, mobile plant vehicles quickly, even if they are utilised on a site just for one day. The security of anti-collision warning is available immediately without the need for specialist installation. The Wireless SensorZone applications can be extended beyond vehicular use. They can be mounted on any mobile equipment where 360-vision by the operator is not feasible. It’s an effective safety solution to install at the base of mobile elevated work platforms; it indicates to the operator in the basket if any pedestrians have strayed into the platform’s path. Until now, this has been impossible to achieve for extending equipment because of the need to run wires along the height of the platform. Being wireless, the system can be used anywhere on site, without the need for power cables. 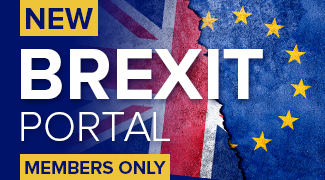 The SensorZone systems are available through GKD’s partners OnGrade in the UK and from T2S in France.